Any good Cross-Country coach will tell you that championships are won or lost in the off-season. There are no shortcuts. It takes time and miles to develop the speed & endurance for a successful season in the fall. As Christians, we measure success differently than the world does. As a coach at Lincoln Christian, my goal is to teach student-athletes how to strive, train & do their best through running competitively. These qualities translate into all areas of life. Our kids need to know what hard-work, perseverance, & commitment feels like. Notice I didn’t say looks like. Running xc is a unique sport. You don’t sit on the bench. There is no blaming the ref or your coach. You are competing against yourself for improvement. It is in these moments that many life-long lessons are learned. We recently completed our season and the team banquet was a true celebration. Great food, sharing memories, and laughter. It’s a chance for me to let the kids know how special they are and that they are loved. I held back a few tears and a couple slipped by. 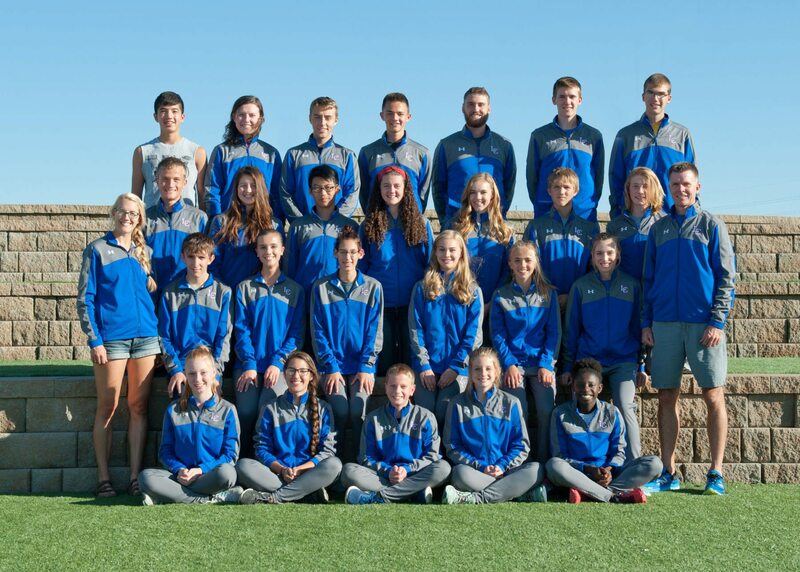 Every year when the season ends I go through Cross-Country(XC) team withdrawals. After spending that much time together, the end of a season feels a bit like family moving away. But let’s save the tears for later. First, we need to go all the way back to the end of May. This is when we started preparing for the XC season. Saturday “pancake runs” kept us accountable to meet up once a week for a group run and breakfast. By the time the season started in August, some runners, who never thought they could run a mile, were heading out for 6 miles. Many runners logged over 200 miles and built many new friendships along the way. The season was certainly filled with plenty of excitement as both the girls and boys teams had amazing seasons. Each team added 6 new runners, with seven of them earning varsity spots. The boys won the District championship for the first time since 1988 which qualified them for the State Championships where they placed 6th in Class C. The girls missed qualifying for State by only 9 points yet had an amazing season for such a young team. We managed to have plenty of fun along the way as well. Frisbee games, running to NuVibe, pizza in the park, and even a trip to Starbucks! There is great joy in seeing your kids enjoy each-others company. The conversations that occur between the work and play are some of the best moments in coaching. These are the moments when there are some great opportunities to talk about real-life. Now the team uniforms are put away, another XC season is in the books, and my mind is already churning on how I can help these kids continue to improve during the “off-season.” After all, that’s is when championships are won or lost.